Adam Wainwright tossed five shutout innings to lead the Memphis Redbirds to an 8-1 win over the Nashville Sounds in front of 9,956 fans at First Tennessee Park Saturday night. Memphis grabbed a 3-0 lead in the third with five hits off Nashville starter Raul Alcantara. Wilfredo Tovar started the scoring with a two-run single and Lane Thomas bounced into a fielder's choice to knock in another run. It was a 5-0 game in favor of the Redbirds before Sounds designated hitter Anthony Garcia cut into the deficit with a solo home run to make it 5-1. It was Garcia's second homer in as many games and his team-high 25th of the year. That's as close as the Sounds would get as the Redbirds tacked on runs in the sixth, seventh and eighth inning. Right-handed pitchers Ismael Aquino and Calvin Coker made their Sounds and Triple-A debuts in the loss. Sheldon Neuse continued his strong second half of the season with another multi-hit game, his team-leading 34th of the season. 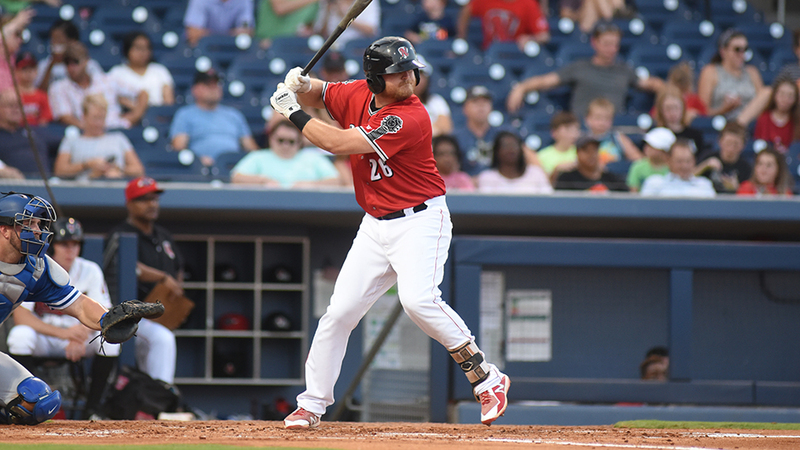 The Sounds third baseman is hitting .319 (61-for-191) after the All-Star break. Game three of the four-game series is scheduled for Sunday night at First Tennessee Park. Left-hander Eric Jokisch (5-10, 4.13) starts for the Sounds against right-hander Jake Woodford (4-5, 4.81) for the Redbirds. First pitch is scheduled for 6:15 p.m.
- With tonight's 8-1 loss, the Sounds dropped to 71-67 on the season. he has played in with the Sounds. The 66-game on-base streak is the second-longest in professional baseball since at least 2009 when MLBAM began tracking the statistic. - Designated hitter Anthony Garcia clubbed his 25th home run of the season in the sixth inning. With a home run last night, it's the third time this season Garcia has homered in consecutive games. - Catcher Sean Murphy went 2-for-4 in his Sounds and Triple-A debut.